On Monday, October 9, dozens of new students gathered at the Downtown Campus Auditorium to attend the Fall semester orientation of 2017-18. The occasion was a special one, as these young people were refugees, recipients of the “Education Unites: From Camp to Campus” scholarships. The “Education Unites: From Camp to Campus” program is a joint initiative by The U.S. Embassy in Athens, in collaboration with Deree – The American College of Greece, Anatolia College – The American College of Thessaloniki, and Perrotis College – American Farm School of Thessaloniki. The goal of the program is to give opportunities to displaced students to continue their education; provide them with knowledge, skills, and academic credits they can use either in Greece or in any other European country they move to in the future; help them get out of the camps and become integrated in local colleges; and offer young refugees hope for the future. 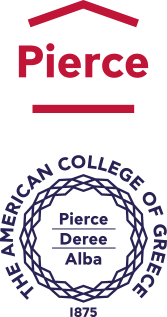 The program will offer two courses per student for the 2017-18 Fall and Spring semesters in the three U.S.-affiliated colleges in Athens and Thessaloniki, and the courses will include preparatory English classes, academic classes in diverse fields based on the educational background of participants, as well as vocational training. In an emotional atmosphere, Dean of Enrollment and International Students, Lucy Kanatsoulis was the first to welcome the students before introducing Eleni Alexaki, Senior Cultural Affairs Specialist at The U.S. Embassy in Athens, who expressed her excitement to see the start of the program. Dean Kanatsoulis then gave the floor to Vice President of Enrollment and Administration, Dimitris Andreou. Upon introducing the organizational heart and soul of this project, Cathleen Mcdonnel, VP Andreou described the “Education Unites” initiative as “a dream come true” and took the opportunity to speak of ACG’s refugee origins and its ability to thrive at times of adversity. Expressing his sincere hope that this program will bring “a happy note” to the students’ lives, he also urged them to enjoy Deree’s facilities and stay here for as long as they wish. In her equally heart-warming speech, Matilda Chatzipanagiotou, Dean of Students, welcomed the newcomers and expressed her honor that The American College of Greece will be serving them, reminding them of an essential ACG precept: that it is a community where each person’s identity, race, and religion are safeguarded and respected. 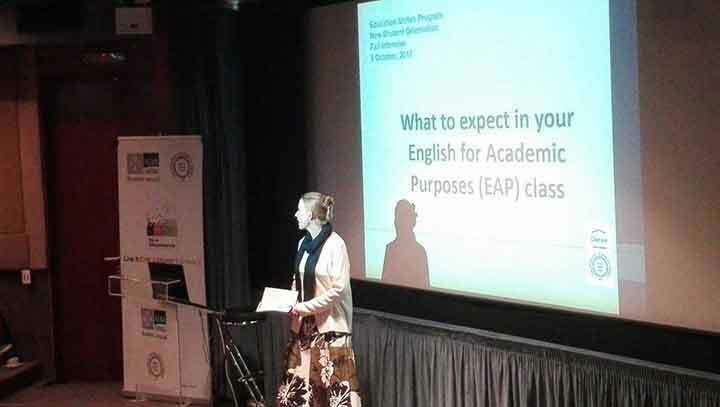 Dr. Susan Stetson-Tiligadas, Director of Language and Culture Programs at Deree, introduced the students to the English language preparation program while English professors Maria Sfakianaki and Artemis Michael elaborated on the details of the program’s courses. The students were also acquainted with the IT technology resources available at ACG and the full range of Deree’s academic policies and support services, before enjoying a lunch break where they had the chance to discuss daily life at Deree with their Orientation Leaders! Wishing these talented young individuals the best of success with their studies and their future careers!